The Vancouver Foodster Pasta Challenge is now on until October 28. Restaurants from all over the city were invited to enter their pasta dishes into this challenge, some of the restaurants have created a special pasta creation just for this challenge. 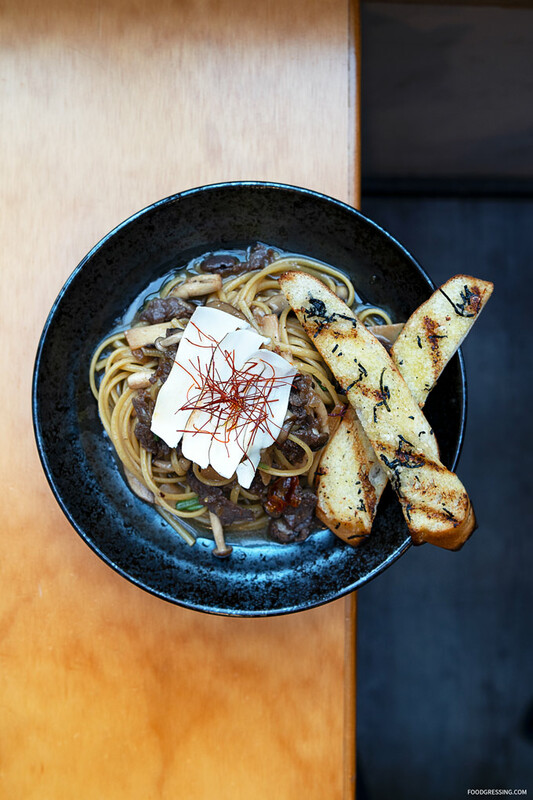 Chef Bobby Shin from Maru Restaurant has created the Linguine with Song – I (matsutake) mushroom and Bulgogi ($19.50). Made with matsutake, portabella, shimiji, soy garlic beef, light soy, sake, shredded egg yolk sheet, chili, and Nori dusted filone bread. Disclosure: I am a media judge for the Vancouver Foodster Pasta Challenge.